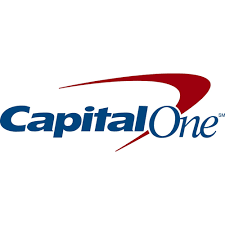 Capital One Financial Corp. (NYSE: COF) stock fell over 4.9% on April 25th, 2018 (as of 12:26 PM GMT-4; Source: Google finance) after posting mixed result for the first quarter 2018. COF in the first quarter has delivered year-over-year growth in loans, deposits, revenues and pre-provision earnings. The company continues to build an enduringly great franchise with the scale, brand, capabilities and infrastructure to succeed as the digital revolution transforms banking. COF in the first quarter of FY 18 has reported the adjusted earnings per share of $2.62, beating the analysts’ estimates for the adjusted earnings per share of $2.33. The company had reported the adjusted revenue growth of 4.5 percent to $6.91 billion in the first quarter of FY 18, beating the analysts’ estimates for revenue of $6.95 billion. Overall, the company in the first quarter of FY 18 has reported the net income of $1.3 billion compared with a net loss of $971 million, in the fourth quarter of 2017, and with net income of $810 million, in the first quarter of 2017. During the first quarter 2018, the company has recorded $19 million of restructuring charges. Moreover, in the first quarter of FY 18, COF has posted 5% fall in the total non-interest expense to $3.6 billion. This includes 5 percent decrease in operating expenses and 10 percent fall in marketing. The pre-provision earnings has risen 3 percent to $3.3 billion and the provision for credit losses fell 13 percent to $1.7 billion. This includes Net charge-offs of $1.6 billion and $56 million reserve build. Further, net interest margin fell 10 basis points to 6.93 percent and had Efficiency ratio of 51.72 percent in the first quarter 2018.